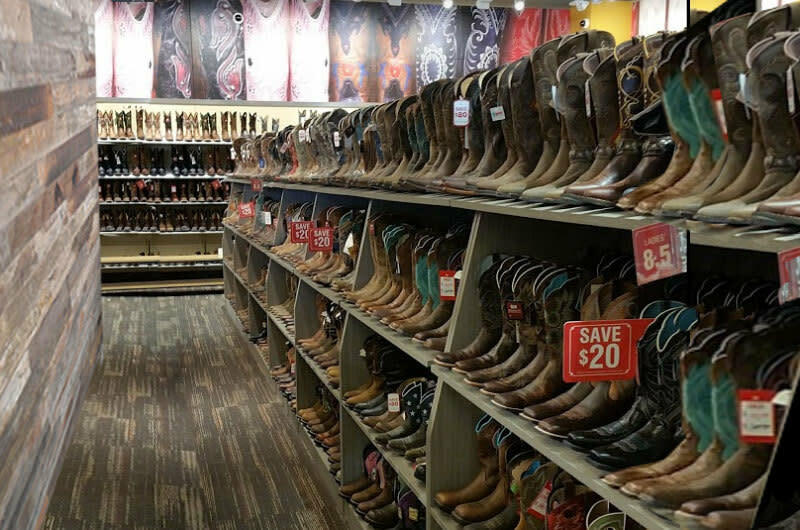 If you're looking for a western wear store with all the name brand boots and western wear, and located just minutes from DFW International Airport, then you've come to the right place! 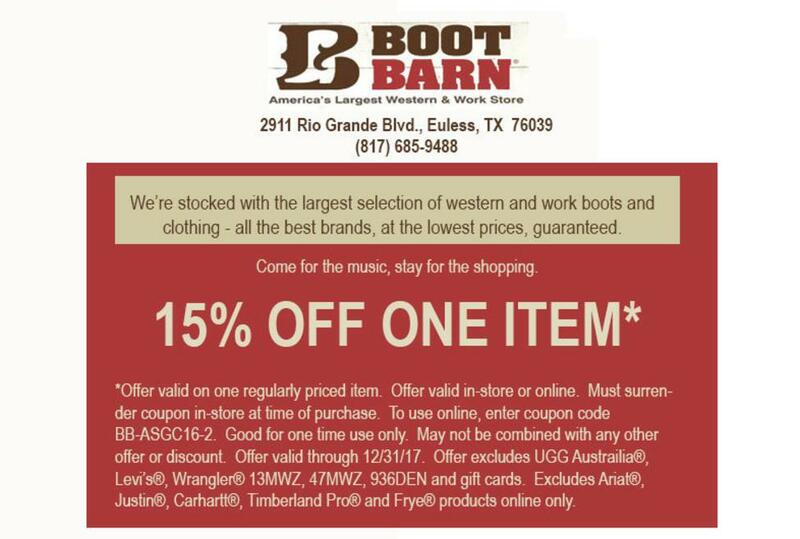 Whether it's quality work wear or cowboy hats, Boot Barn is the place to go. 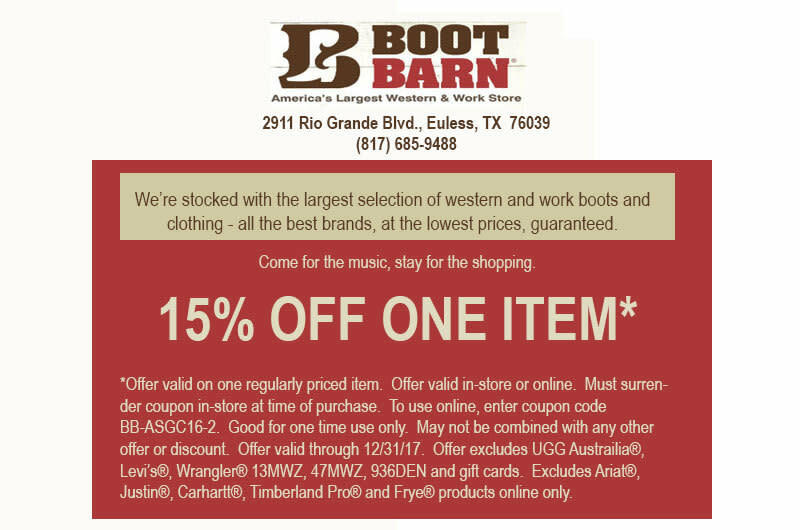 At Boot Barn in Euless, Texas we have a variety of western wear clothing and boots at prices that are hard to beat with our lowest price guarantee. Ride in to our western and boot store today!